Most Leichhardt residential and commercial properties with outdoor spaces have trees of different sizes on them. These features add to the greenery, freshness, and liveliness of the space. In addition, they help maintain a cleaner immediate environment and provide plenty of shade too. In fact, if you have large, trees with thick foliage on your property, you will also be more inclined to use these spaces during the daytime. However, there are times when some large trees begin to grow in a haphazard manner, posing a danger to the home structure, or even to various features in the landscape. In situations such as these, it becomes important to determine whether the tree needs to be removed. We are one of the front-running, professional tree removal Leichhardt companies in the local tree services space. Over the years, we have conducted a significant number of tree removal Leichhardt projects on residential and commercial properties across the region. If a tree/s have become impacted by a lightning strike or stormy weather on your property, or even if it has collapsed, it’s important that you get it removed without delay. While there are a large number of companies that provide these services, very few are able to offer the perfect balance of quality and affordability. We have very efficient business operations in place which help ensure that our clients receive prompt, efficient and low-cost tree removal Leichhardt services. On board, our team are certified and experienced that can provide the best advice and solutions. Regardless of what your requirement is, you can rest assured that the work will be completed to your 100% satisfaction. When is Tree Removal in Leichhardt Required? The roots of the tree may be growing threateningly close to your foundation; this can cause a significant amount of damage and impact the stability and integrity of the structure. Large tree roots have grown deep into the landscaping causing damage to utility lines. Tree roots have begun to encroach upon septic tanks on your property. A tree is growing precariously close to your home, or commercial building and leaning into it. A tree on your property has been struck by lightning during a storm, causing significant damage to its structure. The trees are growing very close to power lines near your property. Large trees on your property have been uprooted in stormy weather. You need tree removal to complete new construction work on your land. 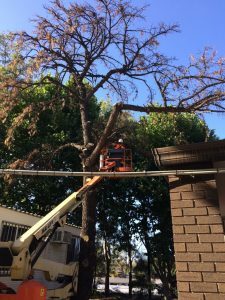 As mentioned earlier, we have the ability, experience as well as resources to handle all types of tree removal Leichhardt jobs with utmost expertise. We also understand that there are times when these services may be required on an emergency basis. It’s why we offer emergency tree removals Leichhardt as required. When you hire us four this service, you can rest assured that we will provide you honest and objective advice on the condition of the tree. Our team will never recommend complete tree removal in Leichhardt unless it is the only option. In some cases, propping and cabling the trees solves the problem effectively. In this case, it doesn’t become necessary to remove the trees. You will find that we are very professional in our approach to our work, and make sure that the job is completed methodically, with the least disturbance to the workings of your property. In addition to removing the tree, we also provide excellent stump removal services. We recommend the stump removal, in order that the protrusion from the ground does not impact the safety and appearance of your landscape. Our team will also clean up after themselves, ensuring that all the foliage, branches as well as wood chips are removed and disposed of responsibly. 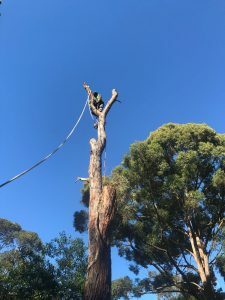 For any more information about our Tree Services, and professional tree removal Leichhardt, feel free to contact us at 0490 079 990 or via this Contact us form. We are a fully-licensed and insured company, and our arborists hold a Level 5 certification. While we provide excellent solutions you will find that our cost of emergency tree removal is very reasonable.